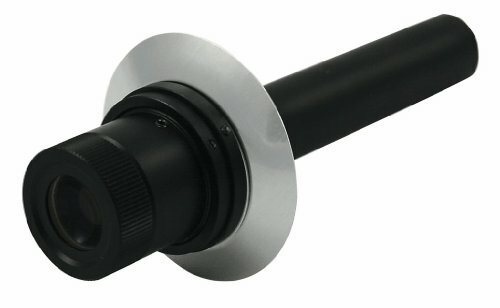 Get some help polar aligning your Celestron CGEM, Advanced VX, or CG-5 mount with the addition of the Polar Finderscope. Install the finder into the polar finder port, located at the rear of the mount, and focus the eyepiece until the reticle is sharp. The reticle is etched with a few recognizable star patterns to help you align your telescope. If you are using your telescope in the Northern Hemisphere, you will recognize the Big Dipper asterism on the reticle, as well as the familiar “W” of Cassiopeia. Use the Big Dipper to guide you in the spring and summer months, and Cassiopeia during the fall and winter. The North Star, Polaris, is also designated on the reticle, as is the NCP, or North Celestial Pole. Once you choose which star pattern to use, align your telescope so that the stars line up with the positions shown on the reticle, then move the telescope’s azimuth and altitude adjustment controls to place Polaris right in the crosshairs. The Celestron Polar Axis Finder can also be used in the Southern Hemisphere. Four stars of the constellation Octans are etched in the reticle. Adjust your telescope until those stars line up as shown on the reticle. 3912 Features: -Built-in variable intensity illuminator. Color: -Black. Accessory Type: -Scope. 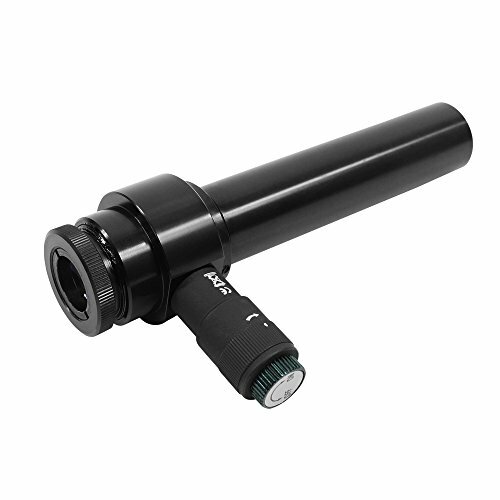 This externally mounted Polar Scope makes it easy to quickly align the Sirius Pro AZ/EQ-G Mount with the northern or southern celestial pole for accurate tracking and GoTo object location performance. 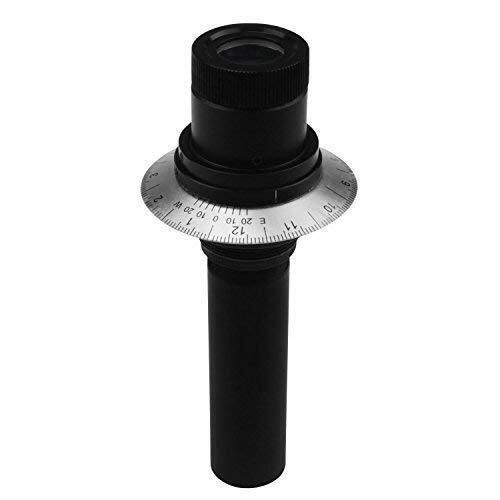 The Polar Scope features a rugged cast-metal mounting bracket complete with a built-in bubble level for accurate alignment . 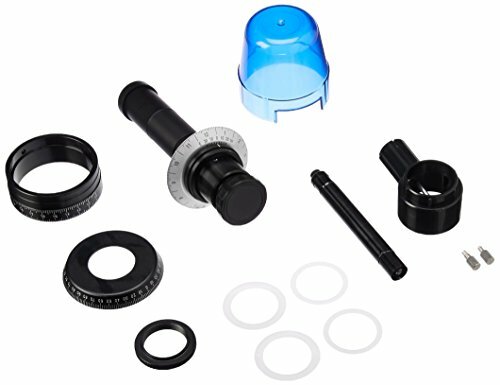 No tools are required for attachment, as the Illuminated Polar Scope utilizes captive knobs already built-in to the Orion Sirius Pro Mount head. 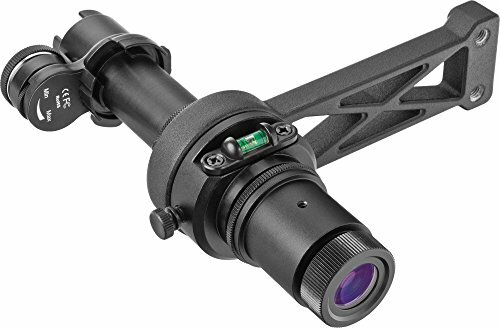 With a 20mm clear aperture and a dual-hemisphere reticle, the Orion Illuminated Polar Scope for Sirius allows swift and accurate polar alignment from any location in the world. An included illuminator device fits on the front of the Polar Scope to make the crosshair reticle easy to see at night. The illuminator is powered by a single button cell CR2032 battery (included). The reticle focus can be adjusted, as can the amount of illumination so you can choose how bright or dim the reticle pattern appears to match your preference. 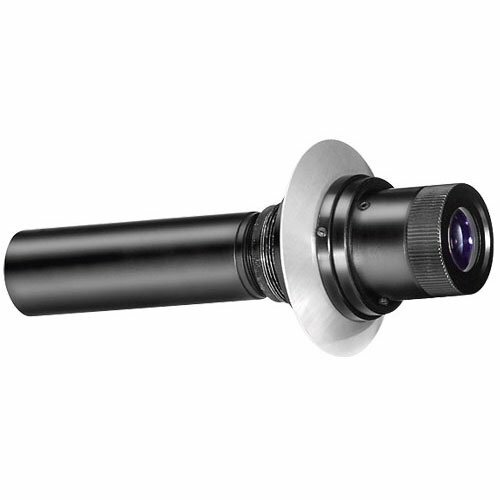 The Orion Illuminated Polar Scope for Sirius Pro Mount weighs just 10.7 oz., and measures 6" x 5.5" x 2". The Polar-Axis finder Scope enables highly accurate polar alignment of the SkyView Pro equatorial mount. Accurate polar alignment is essential for precise tracking, especially at high powers, and for astrophotographic guiding. This accessory threads into the mount's housing along the Right Ascension axis. The optics feature a printed reticle that makes aligning on Polaris easy and fast. Includes complete instructions. Also compatible with Celestron CG-5 mount. If you're ready to graduate from a small telescope or want your first telescope to have more light-gathering power than typical starter models, step up to the AstroView 6 reflector. Its 150mm parabolic mirror has a focal length of 750mm (f/5), so it offers generous wide-field views of deep-sky objects when used with the included 25mm Plossl eyepiece. For lunar and planetary study, use the 10mm Plossl eyepiece (also included)for more powerful views. The AstroView's EQ-3 equatorial mount features slow motion control knobs, which allow you to center and track objects in the viewing field. An optional single- or dual-axis EQ-3 DC drive is also available for electronic guiding (sold separately). A polar-alignment scope is built into the equatorial head for precise orientation. 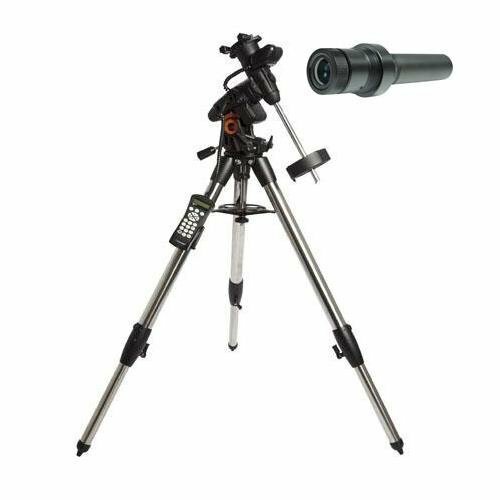 The AstroView mount couples to a sturdy adjustable aluminum tripod with accessory tray. Includes 6x30 finder, 1.25" rack-and-pinion focuser, and adjustable four-vane secondary mirror support. 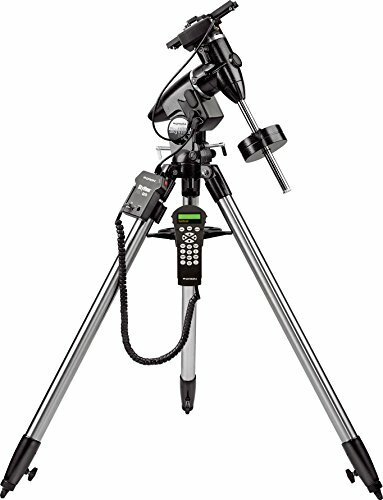 Designed for the serious amateur astronomer, the heavy-duty SkyView Pro has always offered stability and precision control. 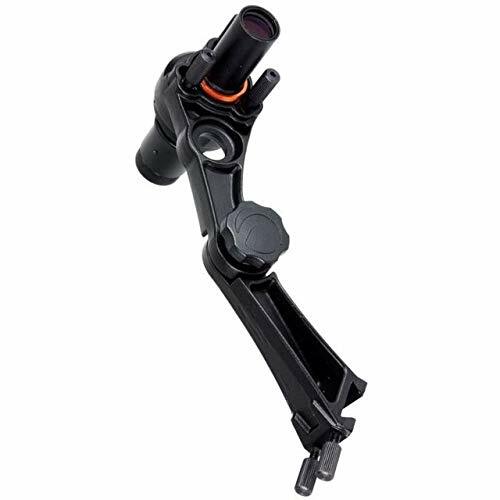 Now with GoTo capability, this popular mount effortlessly guides your scope to over 42,900 celestial gems. Supporting telescopes weighing up to 20 lbs., this German-type equatorial platform features an all-metal head with enclosed 360-deg worm gears on both axes for smooth motion. Stainless steel legs give the tripod a solid stance. 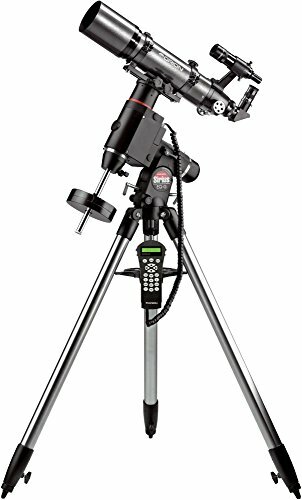 Other great features include an azimuth fine-adjustment and latitude scale for easier polar alignment, large lever locks for the right ascension and declination axes, and tripod leg extensions. The mount accepts an optional polar-axis finder scope.